From bustling markets to serene monasteries, from active volcanos to the deepest caverns, and from idyllic black sand beached to tropical rivers, Guatemala is one of the most diverse countries in Central America, and has something to offer every traveler. Guatemala has some of the most beautiful artisan work that Central America has to offer, and for very reasonable prices. If you are interested in buffing your collection, head to the many artisan markets in Antigua and stock up on hand carved figures, masks, jewelry, pottery, and weavings. If you consider yourself a "budget foodie" then Guatemala will be a culinary delight for you. With some of the most flavorful cuisine in Central America, you can get a full meal for around $2 USD if you stick to the streets and markets. History buffs beware. You could easily spend your entire trip visiting the plethora of cultural sites (such as the famous Tikal) that are found in Guatemala. Options. Get lost in the picturesque village of Antigua and visit its many religious sites, hike one of the many peaks surrounding Lago de Atitlan, or canoe through its serene waters, or visit the sprawling markets in Guatemala City. Regardless, you will leave Guatemala already planning your return. Cost. Guatemala is one of the cheapest Central American countries and it is super cheap to travel in by western standards. You can stay in decent accommodation and take part in a few excursions even on an indie budget, and if you are willing to spend more, you will live like a king. Visit Lago de Atitlan, but stay in San Pedro la Laguna rather than then main town of Panajachel. Take a horse trip from the main square and you will venture into the back mountains, visit rural villages, and see the lake from a different perspective. 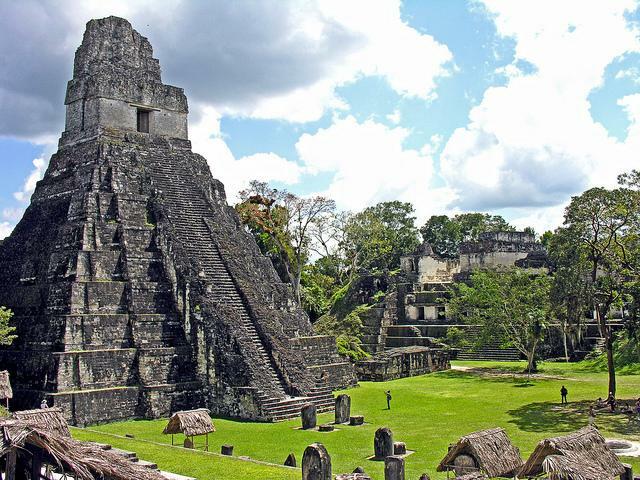 If you are in Guatemala it would be a shame to miss Tikal, its most famous cultural site. However, with its popularity comes crowds. Flores is the main base camp for trips to Tikal, so rather stay in the nearby village of El Remete. You could quite possibly be the only tourist there, and the nearby lagoon has some of the clearest fresh water around. Relax on one of the many docks and watch for falling stars in a sky so full that it's almost white. While crowds of crafts vendors and tour groups visit Chichicastenango for the huge Thursday and Sunday markets (the largest in Central America's), it is worth the trip. The narrow cobbled streets and red-tiled roofs are often enveloped in mist, giving Chichicastenango a magical quality. Take local transportation instead of a tour to really engulf yourself in the experience, and who knows, you might even make some deals (and some friends) along the way. Eat in the local markets rather than in restaurants. This is the best way to experience local culture, as well as save some bucks. These cafeterias are usually located in the center of the local markets (not the artisan markets) and it is still uncommon for tourists to be found here. Guatemala separates Mexico and Belize from the rest of Central America. The long Pacific coast and the short Caribbean coast have a lot to offer the visitor, but the true appeal of Guatemala lies in its interior. With Central America’s highest mountains and most active volcanoes, the landscape can be dramatic. Thick forests in the north still partially conceal the base of the ancient Mayan civilization. For more in depth information on what to see and do while there, check out the highlights section of Indie Travel in Guatemala for $25 Per Day. Unless you are doing Central America by bus, your best bet is to fly into Guatemala City’s La Aurora International Airport. 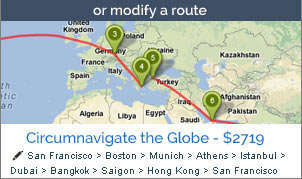 It’s a major hub for several carriers so good deals are often available. There is a regional airport in Flores with flights that run back and forth to the capital. 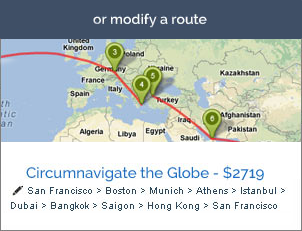 These can usually be booked on a walk-up basis, but you can also buy them any local travel agent. For information on getting around the country, check out the transportation section of Indie Travel in Guatemala for $25 Per Day. As mentioned, even if you land in the capital you might consider moving along rather than staying. There are hostels in Guatemala City though, and many great options in Antigua as well as Flores/Tikal. Hotels in the country tend to be affordable, but during peak times the better places can fill up well in advance. For information on accommodations, check out the accommodations section of Indie Travel in Guatemala for $25 Per Day. Chelsea Perino is an avid traveler and has spent a significant amount of time in Central America. Staying with locals in Guatemala gave her the opportunity to really experience the local culture, and has given her a unique perspective about the country. Chelsea recently graduated with an MA in Public and Organizational Relations and is now a freelance Public Relations and Marketing consultant and writer in New York City. She is the Co-Founder of her own online lifestyle magazine DIY-NYC.com.